Despite a recent and evolving Lyme diagnosis, I maintain my position of avoiding pesticide use. 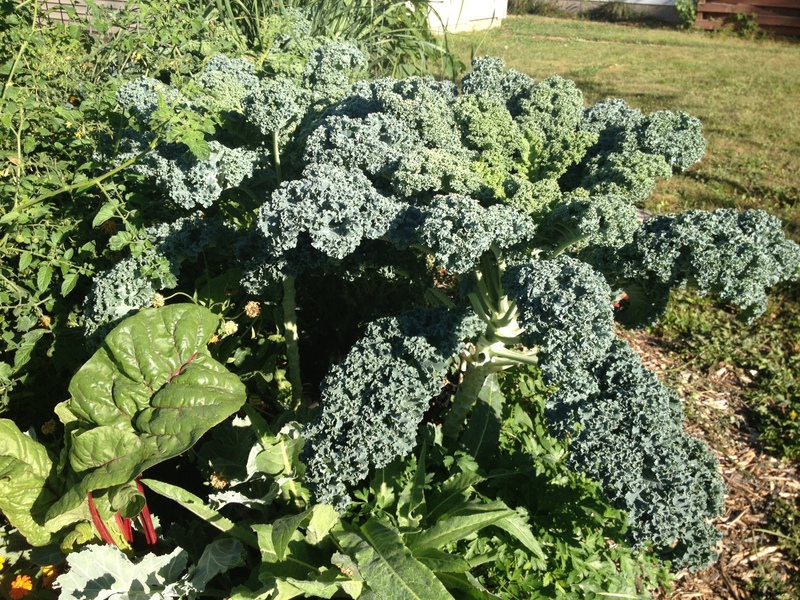 As the ER team knows, I love to tell the kale “tree” story in which my kale crop flourished even in the depths of winter and grew so tall it was reminiscent of Jack & the Beanstalk. I later learned my (former) neighbor Glen was heavily spraying my yard. We moved out of that house, but not far away enough to escape Glen’s antics. Disclaimer: What follows is a true story. No exaggerations or color commentary added. Loud knock on the door. Solicitor? I want to ignore but think I have been spotted through the window. Open and see the truck: Chemical company called Alterra. Kid: Stays on the porch. Awkward look on his face. Kid: (Starts to back away. Has not uttered a word since introducing himself. Looks downtrodden, dumb-founded). I wonder if I have become a zealot, and decide my position is sound. I decide I want a permanent and beautifully designed wooded sign for my lawn. 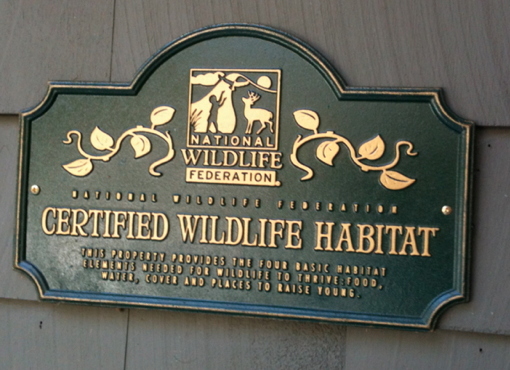 Something nice and tasteful like the natural habitat signs! The next day (nope, couldn’t make this up), another young man knocks on the door. Before he gets a word in I launch my spiel. He waits and then proceeds to educate ME on the benefits of chrysanthemum oil and other natural repellents. Again my face reddens, but this time I ask if he would like a glass of water and invite him in. 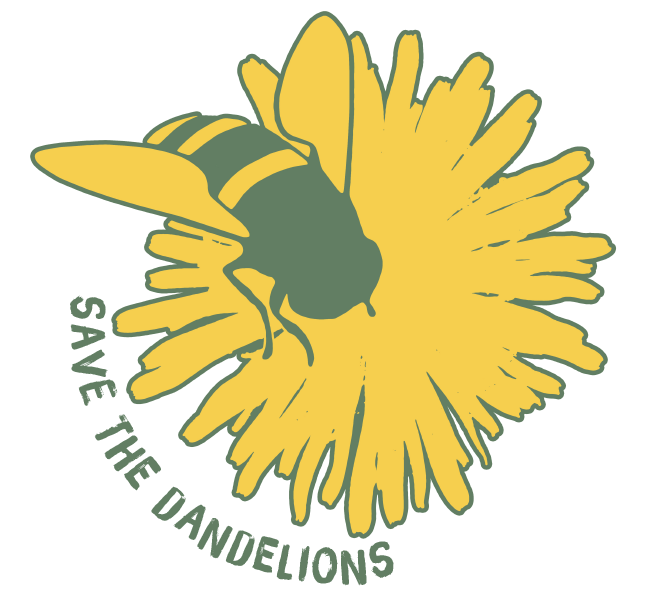 This entry was posted in Ecology, Gardening, Lawns, Native plants, Vegetables and tagged lawn chemicals, pesticides, save the dandelions. Bookmark the permalink. 1 Response to The Choice for Me: Chem Free! “Chrysanthemum oil?” What a crock! I suppose the lawn care industry’s marketing arm has realized the negative press of “permethryne”, which is extremely toxic to marine life, and decided to rename it “chrysanthemum oil”.